As a mom of kids with food allergies, and who struggles with food sensitivities herself, Halloween is always a mixed bag. Oh how I love the swarms of families and children marching to my door in vibrant colors! Usually the little ones in their animal and princess and superhero costumes come first, while the sun is still up. (I always love the pumpkins with chubby cheeks and the ladybugs with thigh rolls.) As the night wears on, the kids get taller, and the costumes get scarier. And then as the candy bowls begin to run dry, our neighbors congregate on the porch of whomever still has sweets to give, and we enjoy the cool evening until the crowds dwindle and the candy runs out, and then our kids go to bed utterly exhausted with delight. That’s why I was so excited to hear about the Teal Pumpkin Project! Created by FARE (Food Allergy Research and Education), the Teal Pumpkin Project is a movement encouraging families to give out allergen-free treats on Halloween. By putting a teal pumpkin on your porch, you’re showing families with food allergies that you are a safe place, that you have a treat that can be enjoyed without fear or worry. 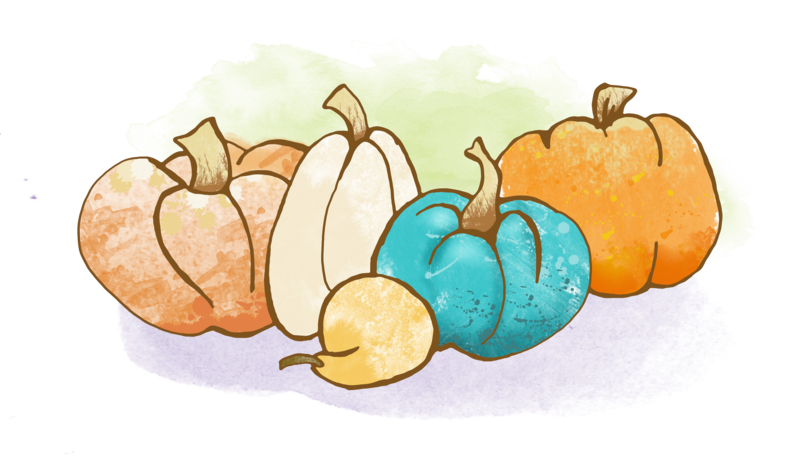 So to usher in the teal pumpkin season, we’ve crafted a brand new, totally free story about two friends with dietary restrictions and how the Teal Pumpkin Project saved Halloween for them. Please play the story for your kids, and share it with your friends, schools, places of worship, and other communities to help spread the word. Even if you don’t deal with food allergies or food sensitivities in your home, you likely know someone who does. Our hope is that this story will soften the hearts of all our listeners and empower us to work together to ensure Halloween is a safe and fun-filled holiday for all. Knox and Cole are best friends and have been since they were two years old. There are many things they have in common and some things that are very different. Knox, for instance, is a vegetarian - and when Cole turned 8 years old, he learned that he was seriously allergic to nuts and eggs. This was challenging at first but with the support of his family and friends, Cole was able to find ways to make sure he never contacted nuts or eggs. But when he realized that Halloween treats often contained nuts, he wasn’t sure what to do about Trick or Treating with Knox. And then he learned about the Teal Pumpkin Project, which turned everything around for him - and his best friend. A native Texan, Erin lives in Austin with her college-sweetheart husband and three kids. She loves to travel, and her time spent living abroad in Spain and Chile ignited her passion for cultural exchange and foreign language. She homeschools her children in collaboration with a sweet little classical, university-model school. She has a revolving front door (not literally, but you get the idea) and will always say yes to a day on the lake.